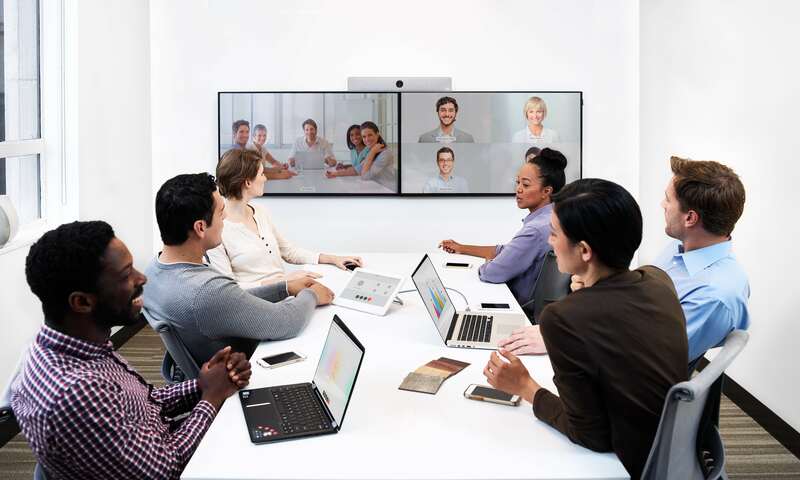 The Cisco Webex suite delivers a complete collaboration from the cloud that connects people and teams anytime, anywhere. Whether you’re having a quick discussion or working on a project from start to finish, we deliver meetings, team collaboration, and calling capabilities designed to optimize business productivity. Use Webex Meetings, Webex Calling or both. Streamline user experiences and drive additional productivity with in the all-in-one Webex Teams app that combines enhanced messaging tools with meetings and calling services. Keep work safe with end-to-end encryption for messages, files, and whiteboard drawings shared in Webex Teams. Use compliance capabilities that support users even when they’re working with others outside your company. Schedule meetings seamlessly right from your calendar, even on a mobile device. No complicated URLs or codes to remember. Joining couldn’t be simpler: no downloads or plug-ins required, and guests can join without having to create an account. Just one button to press – even on Cisco video devices. Anyone can participate in the Webex experience from the device of their choice. Add users with any email address to a Webex Teams space. Join meetings from any standards-based video device or even Microsoft Skype for Business. Teams can enjoy enhanced productivity in physical spaces around the office with a single experience delivered from the Webex cloud. Integrate collaboration into your workflows with the Webex App Hub. Customize the experience further using our developer tools. Webex Meetings is the most widely adopted and trusted meetings service on the market. It provides simple, modern video meetings with incredibly seamless schedule and join experiences. Join quickly from any device or browser. Webex Meetings is globally available, secure, and optimized to eliminate delays so that everyone has an amazing experience no matter where they are. With Webex Teams, create secure virtual work spaces with anyone where you can work on projects from start to finish, solve problems, and create stronger relationships. Get things started with messaging and file sharing. Express your ideas on whiteboards that others can add to. Seamlessly use high-quality video meetings and make calls. Even keep up to date with what’s happening in other apps. Anytime, anywhere, on virtually any device.